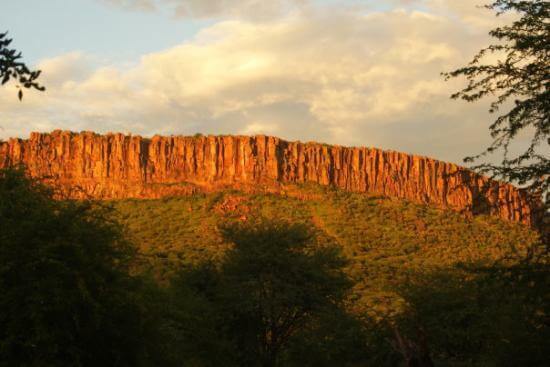 The Waterberg National Park is one of Namibia’s national parks and is located near the town of Otjiwarongo. Many travelers choose to stay in this area as it is ideally situated either on route to Etosha or the City of Windhoek. The park itself is situated on a plateau and rises up to over 400 meters in some places. The park itself is 405 square kilometers. The name ‘Waterberg’ can be translated into ‘Water mountain’ and derives its name from the natural springs which surface on the lower slopes. Due to this source of water the surrounding vegetation is green and lush which is in stark contrast to the vegetation to be found on the surrounding plains. 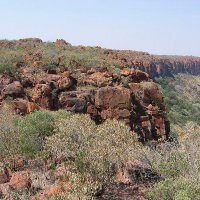 The Waterberg Plateau was declared a nature reserve in 1972 and the plateau itself is raised high above the surrounding plains and is largely inaccessible from below. Many of the country’s endangered species were relocated to this park in the 1970’s to protect them from extinction either from predators or poaching. These include Rhino, Sable and Buffalo. Waterberg Plateau Park is rich in birdlife with over 200 hundred species recorded. 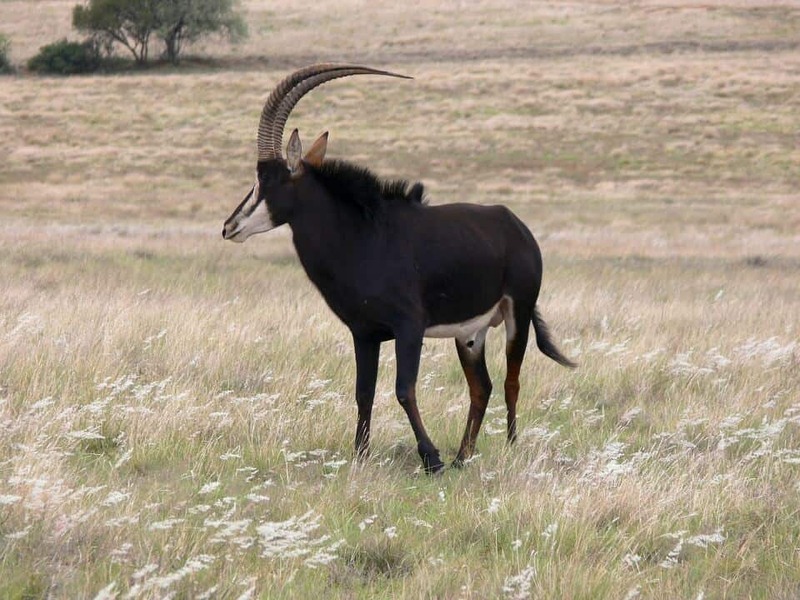 There are currently 24 species of mammals (including white and black rhinos) to be found in the park and some of these cannot be found anywhere else in Namibia except if you are planning to visit the Zambezi region where Sable, Roan and Buffalo are to be found. This area is also home to the last known population in Namibia of the Cape Vulture. The Waterberg was the scene of a bloody battle in 1904 between German colonial forces and Herero warriors. Chief Samuel Maharero led his Herero warriors and sadly thousands were killed and were defeated. They were eventually driven from the Waterberg and retreated towards Botswana. It is estimated that as much as two-thirds of the Herero population lost their lives during this time. Nearby the entrance to the park one is able to view the graves of some of the German casualties. 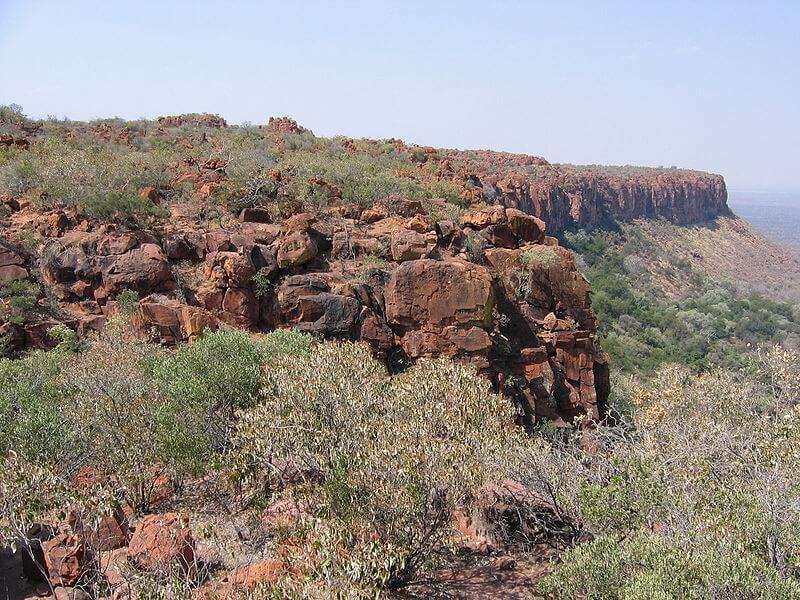 Waterberg Plateau Park offers some good hiking trails of which some are guided. There is also a 42 km unguided hiking trail for the more adventurous. Travelers are able to either stay within the park which is run by Namibian Wildlife Resorts or they can stay at one of the many nearby lodges in the area.